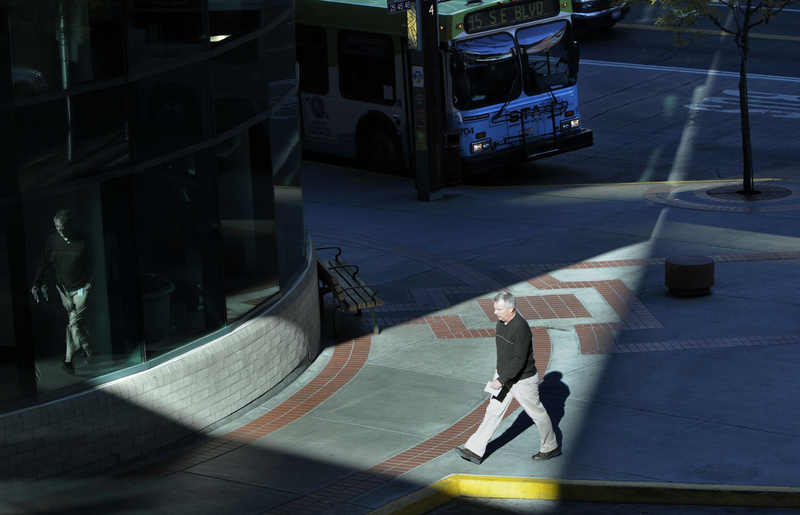 Spokane’s business community likely will succeed in pushing the region’s central bus plaza out of downtown, a former transit board chairman predicts. Hafner, who worries that moving the plaza could cost taxpayers as much as $15 million, said he hopes a solution can be found over the next few months that would keep a viable transit hub in downtown Spokane. Hafner’s candid predictions come as political pressure begins to mount on STA and the downtown business community over questions about the plaza’s future. Last week, for example, the Spokane City Council called for the delayed plaza renovation to proceed, a move that backers hope will send a clear signal to the STA board and business groups that the council wants it to remain centrally located downtown. Council members also made support for the plaza’s current location a litmus-test question for the five finalists seeking appointment to a vacant council seat. All five said they support the existing location. Spokane City Councilwoman Amber Waldref said she understands Hafner’s frustration, noting he invested a lot of time as chairman last year trying to find reasonable solutions. Waldref, who replaced Hafner at the helm of the transit board this year, said her hope is that a newly formed task force will be able to identify options that can draw broad community support for keeping the plaza in place for at least the next decade. That would bring STA to the end of its latest long-term operating plan, which is built around the existing downtown plaza. The agency could include any major potential changes in downtown transit services as part of its next long-term plan, she said. Driving the uncertainty are two of Spokane’s most powerful business groups: Greater Spokane Incorporated and the Downtown Spokane Partnership. Both have complained extensively about the number of homeless people, mentally ill people, and drunk or stoned teenagers who hang out at the plaza, which they fear is harming the region’s economy by driving tourists and commerce out of Spokane’s central business and financial district. The Davenport Hotel has complained to STA executives and board members that it’s losing business because guests are uncomfortable walking to Riverfront Park and elsewhere downtown because they often must pass through unruly crowds loitering around the transit plaza. The groups, with help from regional tourism promoter Visit Spokane, persuaded the Spokane Transit Authority board last month to delay until November a remodel of the plaza that had been planned for the past six years. Downtown Spokane Partnership, a group that collects city-authorized assessments on downtown businesses and property owners to cover marketing and other business support services, is organizing the task force that’s studying options. Part of the task force’s focus will include whether improvements can be made as part of a remodel to discourage the plaza’s appeal as a place where those who aren’t waiting to catch a bus can hang out. Additionally, the task force will examine long-term options. STA officials and others say most of the problems cited by business groups largely have been resolved during the past couple of years. After removing the plaza’s dedicated smoking area in 2012 at the request of some business owners, STA spent $70,000 building a new one after smokers migrated to other nearby locations, including the block where GSI’s offices are located, prompting even more business complaints. Spokane beefed up its police presence at the plaza, including the opening of a downtown precinct alongside the terminal’s north entrance, and the City Council adopted a controversial ordinance that made it illegal to sit or lie down on public sidewalks, which was intended to give officers a way to disrupt long-term loitering. In addition to targeting criminal behavior, the city and STA made efforts to bring in more social services for those who need it. Ed Pace, another Spokane Valley City councilman who also serves on the STA board, said he shares Hafner’s frustrations over the potential cost of having to relocate a regional transit hub, adding that he’s asked unsuccessfully for a clear explanation of the “problem behaviors” that business interests want alleviated. Pace also wants to make sure that the task force created to study the issue makes an effort to include those who are engaged in the behaviors that the downtown business interests find so objectionable.